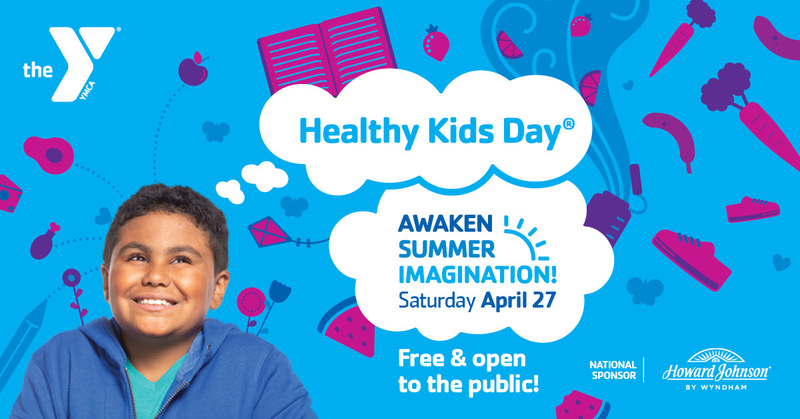 On Saturday, April 27, the Henry County YMCA will host a free community day in connection with Healthy Kids Day, the Y’s national initiative to improve health and well-being for kids and families. Healthy Kids Day is an opportunity to ignite children’s imaginations so that they can imagine what they’ll accomplish this summer. 10 am-2 pm Blood Drive with Indiana Blood Center. Sign up to give blood at www.donorpoint.org. 1-3 pm- Children's Mini-Health Fair on Court 1. Organizations from around the community that support kids’health will be available with informative and interactive booths. 1-2 pm- The YMCA preschool will host crafts and activities in the Preschool Room. 1:30 to 2:30 pm- Water Safety Course and pool activities in the Aquatics Center. Bring your suit and towel. 2:30-3 pm- Water In Motion led by Gena Barker in the Aquatics Center. Bring your suit and towel. Healthy Kids Day, celebrated at over 1,500 Ys across the country by over one million participants, works to get more kids moving and learning, creating habits that they continue all summer long. When kids are out of school, they can face hurdles that prevent them from reaching their full potential. Research shows that without access to out-of-school learning activities, kids fall behind academically. Kids also gain weight twice as fast during summer than the school year. As spring turns to summer, Healthy Kids Day is a powerful reminder not to let children idle away their summer days.Instead, the Y wants families to focus on helping children imagine what they can accomplish over the summer. Natasha coordinates swim lessons for kids and adults. She is great at making everyone feel comfortable in the water.